Having first started her studies by completing a course in Sports Management, Tanja Bailey swopped training for trial balance. She is currently achieving great success. 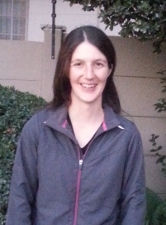 Tanja came first in the country in her Unisa Macro Economics exam (Economics 2 –nov 2012). ‘It was quite a surprise as it was not something I was necessarily aiming for, but of course, I am very happy,’ says Tanja. Having matriculated from Holy Rosary College, the B.Com student originally enrolled at Boston City Campus & Business College for a Sports Management Diploma as this was the path she thought she would like to follow. After successfully completing the course she started working as a receptionist in a doctor’s practice. Her next job was working as a debtor’s clerk at her current employer Protea Chemicals, where her passion for business and accounting was ignited. She took a bold step to start working towards her B.Com Degree through Unisa. She decided to register for her B.Com degree through Boston as her previous experience has been extremely positive. ‘Boston was one of the only places offering Sports Management at the time but the support and hands-on involvement of lecturers as well as the quality of course was great, so I was keen to go the Boston route again and study my B.Com Degree’ says Tanja. As a more mature student, the option of working while completing her studies is ideal, although she acknowledges it is hard work. There is no time to mess around, but Tanja finds that she is more focused than she might have been if she were younger. The option of attending lectures in your own time is also a great help, motivator and support. ‘The lecturers are very good and because many of them work in the field they are able to offer real world examples, which makes a big difference – it is not just about the theoretical side,’ says Tanja. She adds that the classes are also interactive with fellow students getting actively involved by asking questions and challenging the lecturers so that one gets the most out of the time spent in the classroom. The lecturers are also accessible via e-mail or telephone and are more than happy to offer assistance to the students. ‘I have done some self study modules and it is possible to get through it and pass, but this is the more difficult route. Going to lectures just helps confirm that you are on the right page,’ comments Tanja. Although full time studying is now out of the question, Tanja says she would love to complete her degree full time as she already has the experience and is keen to move forward in her career, but she encourages younger students to seriously consider getting work experience either part-time or full-time during their degrees as having work experience is imperative when entering the job market. She also says that school leavers must choose their degrees carefully by deciding what it is they want to do in terms of finance – if they want to move up the corporate ladder to the point of Financial Director or similar then the CA option is a must, but if they want to work as a Financial Manager or within a finance department then the B.Com option is ideal. Tanja is now a junior accountant for Protea Chemicals and hopes to open her own bookkeeping practice at some stage once she has finished her degree, which she hopes will be within the next three years. ‘I really love working with numbers, in particular economics and the critical thinking and problem solving side of accounting. As with all jobs there are downsides – the work can be a bit repetitive and the hours are sometimes tough especially when it is year-end, but I still really enjoy what I do,’ she adds. BCom degrees are now open for registration at Boston, for more information on selecting your nearest Boston City Campus branch, please visit www.boston.co.za. Students must remember to firstly enjoy what they are studying if they don’t enjoy it then success is harder to achieve. Also, relax and take time out to do something other than work or studying. Freeing your mind for a bit is very important. Lastly, set small achievable goals that are possible to achieve (and not months away). I like to make weekly goals as this makes the big picture smaller and is easier to get through.